Useful Tricks That Will Keep Your Fridge Organized. 24 Apr Useful Tricks That Will Keep Your Fridge Organized. Often times we find ourselves with a lot of foodstuffs after grocery shopping with nowhere to place them after the fridge seems full. It might not be necessarily full. Maybe it’s just how you arrange stuff in your fridge. 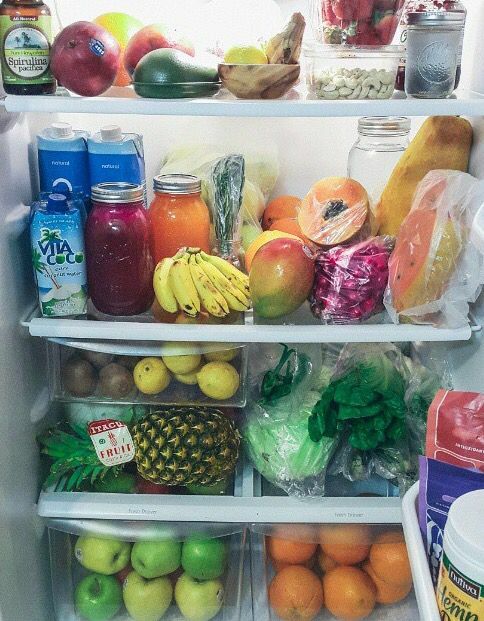 Here are some very easy hacks to keep your fridge organized. Use containers to keep food in place. Placing food anyhow is one of the greatest mistakes that you can do as it will consume a lot of space in your fridge. It may also be a bit unhygienic and some food wrappers may cause the food to go bad after a short period of time. Try putting common items in one container and place them at a common place as a great way of keeping your fridge organized. To avoid confusion or instances where you have to uncover the container every time you want to prepare something just to make sure it’s the right thing you want, ensure you label your food. This is usually due to the frost in the fridge that makes the container look a bit blur making it difficult to see through it. You can also arrange them in order of what you frequently eat. If you are always in a hurry and find it time-consuming cleaning your fridge, you can always cover the shelves with a wrapping paper so that when something spills, you just peel off the wrap and you are good to go. Make sure to wrap it again after removing the dirty one. As funny as it may sound, it makes perfect sense to put the meat stuff on the bottom shelve of the fridge while the veggies are on the top shelf. This will avoid the fluid dripping from the meat to spill on the rest of the food making you go through double the trouble of cleaning it. Come up with a menu. Getting to know what food you are cooking first will also help in arranging the fridge. You can arrange the food according to your meal plan so as to avoid going through the well placed and organized stuff again then having to start from scratch as you re-organize. Avoid placing liquids in the fridge door. For the sake of kid’s safety, store things in the fridge the right way. Avoid placing milk jars and beer bottles on the door side as this may cause breakage when the kids are opening the fridge vigorously. Try and get a bottle stopper and just place them on the normal fridge shelf with the stopper in place. This will also keep all fridge items safe and protect your kids or pets from harm as well. Keep a stock of whatever is in the fridge. Once you organize your fridge, it is really important that you get to know what you placed there and when you placed it so that you can avoid other foods from overstaying. When you go for grocery shopping, you can place the old stock in front and the new at the back so that nothing goes bad. Do not stuff food in the fridge or rather do not overstock the fridge. Space the food well inside the fridge so that the air may flow through them to keep them cool. This will avoid food from going bad when inside the fridge from lack of being chilled. You can also slice fresh lemon pieces and place them in every corner of the fridge. This keeps bad odor away and the fridge will always remain fresh. If you are not consuming food at that minute, it is best that you do not slice it as it has a higher chance of going bad faster than whole food. For vegetables that are already sliced, you can chop them up and store them in mason jars inside the fridge. This will avoid wastage of food. Take out anything you do not need. At times you find empty milk bottles and meat wrappers that just stay in the fridge for no apparent reason. This makes the fridge appear so messy and disorganized. Have time to remove all those unwanted things in the fridge. If you no longer have any stock, the best thing to do is clean your fridge thoroughly and let it stay fresh ready for new stock. Please note that some foods when placed together may cause harm to your body. Putting meat and vegetables together, for instance, is a bad idea. They can release toxic substances that will make them go bad and can be very dangerous when consumed. Containers work in the freezer too. The freezer has a lower temperature than the fridge. This is to make sure that food stays frozen in there. You can imagine placing meat in their wrappers on top of each other. The wrappers will attach to each other making it very difficult to get one wrapped meat. The best way to store food in the freezer is just the same as the fridge and that is keeping them in containers. Know what should and shouldn’t be in the fridge. There are some foodstuffs that if placed in the fridge would go bad. They have a longer lifespan outside the fridge than inside. Things like potatoes, onions, and bananas are better off kept elsewhere other than in the fridge. If you need to store eggs in the fridge, get a good egg tray that will fit and place your eggs on the tray inside the fridge. Although eggs don’t need to be in the fridge to survive. Your fridge should not be very close to the wall or touching the wall. What happens is that when you place it touching the wall, the gas cylinder at the back of the fridge tends to lose gas fast. When that happens, your fridge will not be able to cool or freeze food. With the above tips, keeping your fridge organized shouldnt be difficult and you wouldn’t have to rummage through for hours when you are looking for something.